This, the first alpine refuge of the latest generation, provides the optimal combination of comfort, safety and respect for the environment. 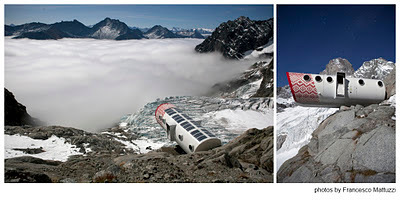 It was installed in mid October on the Freboudze glacier, in front of the spectacular East face of the Grandes Jorasses of the Mont Blanc Range. It is now ready for use by mountaineers and climbers. The refuge represents the pinnacle of achievement of LEAPfactory, (the acronym means Living, Ecological, Alpine Pod) an Italian Company that designs, creates and produces modular structures which have minimal impact on the environment.